When the body of three-year-old Syrian Alan Kurdi washed up on a Turkish beach in early September, it illustrated the great risks people take when they climb aboard boats in search of safer homes. Kurdi is just one of an estimated 2,870 migrants to have died or gone missing in the Mediterranean Sea so far this year. This number, though, pales in comparison to the nearly 250,000 people who have died in Syria since the civil war started in March 2011. So while the journey out is risky, the reasons to leave the war zone are obvious. So far, more than nine million Syrians have fled their homes, yet the proportion that has embarked on treacherous ocean crossings is low. That the plight of Syrians and other refugees has somehow been dubbed the “European migrant crisis” is frustrating, says Dan Hiebert, a geographer who studies international migration. In neighboring Lebanon, more than a quarter of the population of almost four-and-a-half million are now refugees from Syria. Turkey, another neighbor, already has nearly two million Syrian refugees living within its borders. Germany will take some 800,000 people seeking asylum—the highest of any European country—but only 35 percent are likely to be allowed to stay. Often, it is the countries that are less equipped to accept refugees that end up taking in more people. “Turkey is a country with far less economic resources than Germany,” Hiebert says. Most of the world’s roughly 40 million remain in the Global South, in poorer countries that struggle to support them. But for those who are willing to risk a treacherous overseas journey, rich, stable countries exert a powerful, multifaceted pull. In recent research, Indonesian diplomat and PhD candidate Ahmad Almaududy Amri argues how, even among rich countries, the confluence of economic, legal, and cultural factors can make some countries more attractive destinations for refugees than others. Amri’s research focused on migrants leaving from Southeast Asia. For these people, he found, Canada and Australia are the prime destinations. Australia and Canada also have relatively open immigration policies compared to other wealthy countries. The recent tightening of these entrance requirements, however, have limited people’s ability to seek refuge through legal means, giving more reason to entrust their passage to smugglers, writes Amri. The size of existing cultural communities is also an attraction. Roughly 300,000 Tamils live in Canada, for example—the largest population outside Sri Lanka and India. “In most cases, the person seeking to enter the destination state has been directed to do so by their family,” writes Amri, citing previous research. In the case of Alan Kurdi, his death came during a journey that was meant to, eventually, bring him to join his aunt in Canada. For myriad reasons, some wealthy countries are better equipped to welcome refugees than others. But this capacity doesn’t always translate to action. Though Canada has a long history of accepting large numbers of refugees from conflicts in Europe, Vietnam, Uganda, and Yugoslavia, it has so far accepted only 2,400 Syrian refugees—one out of 1,700 fleeing the war—with a pledge to take 8,900 more. Australia, similarly, has committed to accepting just 12,000 Syrian refugees. It’s time for Canada to step up again, says Hiebert. Streamlining the process could certainly reduce the number of people—like the Kurdi family—who take their chances at sea. 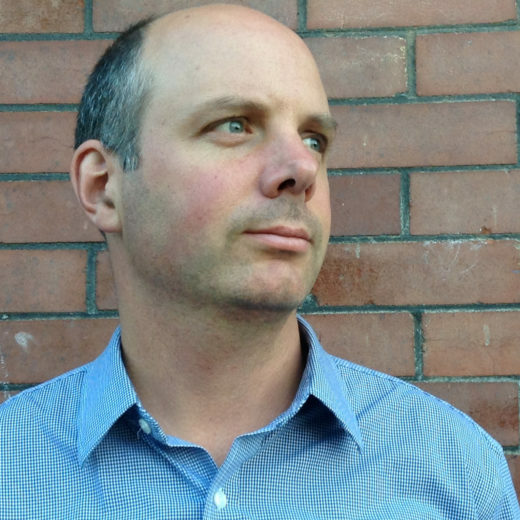 Andrew MacLeod is The Tyee’s Legislative Bureau Chief in Victoria and the author of A Better Place on Earth: The Search for Fairness in Super Unequal British Columbia. Cite this Article: Andrew MacLeod “Refugee Policy Adrift: How Humans Migrate,” Hakai Magazine, Sep 22, 2015, accessed April 25th, 2019, https://www.hakaimagazine.com/news/refugee-policy-adrift-how-humans-migrate/.